London. December 1981. The IRA is on the attack, a cold war is being waged, another war is just over the horizon, and Stephen Donaldson spends his days listening. When he first joined the Institute, he expected to encounter glamorous, high-risk espionage. Instead he gets the tape-recorded conversations of ancient Communists and ineffectual revolutionaries-until the day he is assigned a new case: the ultra-secret PHOENIX, a suspected internal leak. The monotony of Stephen's routine is broken, but it's not PHOENIX who captures his imagination: it's the target's wife, Helen. Beset by isolation and loneliness, Stephen becomes dangerously obsessed with Helen, risking his job to keep his fragile connection to her and inadvertently setting himself up for a fall that will forever change his life. 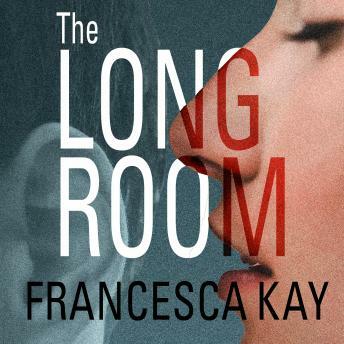 With compassion and tenderness and moments of unexpected humor, Francesca Kay charts the way in which imagination, projection, and desire overwhelm the paucity of Stephen's life and identity. As beautiful as it is intense, The Long Room explores a mind under pressure and the wilder cravings of the heart.